Welcome to a spa day, ladies! You may remember Salon Karizma from my previous post reviewing their hairstyling services. You can read that post here. Well I’m back to review another one of their in-house services! Salon Karizma invited me to the salon last week to enjoy their exclusive Karizma Custom Facial. To be completely honest, I’ve never had a facial before! So I was very excited at the chance to experience one at the hands of experienced and licensed esthetician Emily. Follow her on Instagram here! Let’s start with the Salon Karizma Custom Facial. 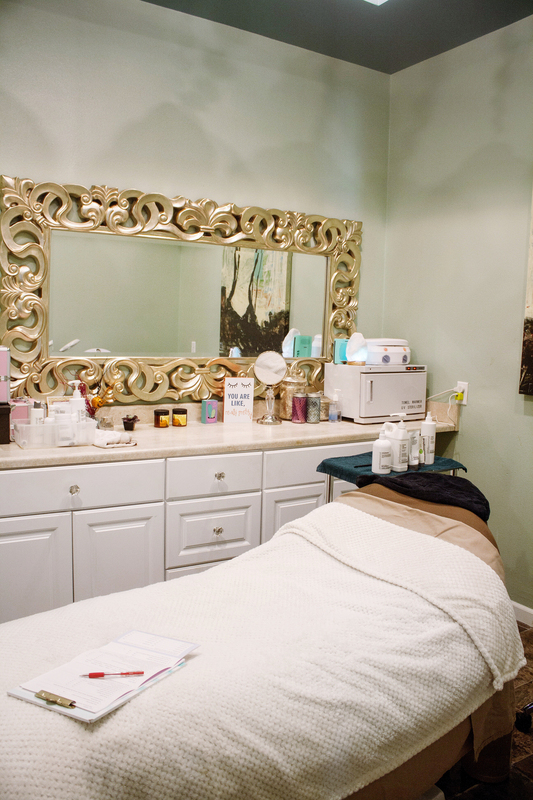 Each facial is completely customized to each individual based on their specific skin concerns. 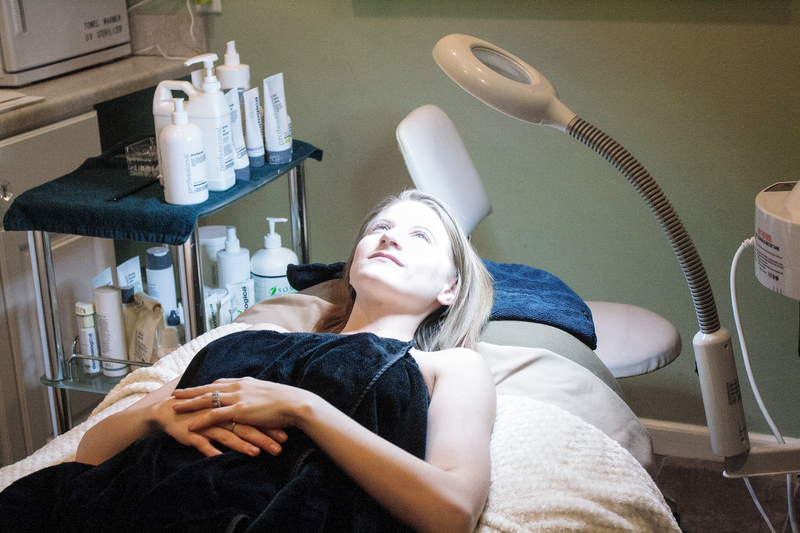 As Emily says, “It’s not a one size fits all treatment so I can really target everyone’s needs.” The facial uses a combination of techniques and products to rejuvenate your skin through cleansing, massage, exfoliation, soothing, moisturizing, and masques. And there’s more! Add-on’s range from LED Light Therapy Ultra-Sound (that sounds so high-tech!) to a 24K Gold Face Mask. Um, sign me up for that one! All products used in the Karizma Custom Facials are by Dermalogica, a leading brand in the skincare industry. Dermalogica has worked for years to perfect skincare for every skin type and skin concern you may have. 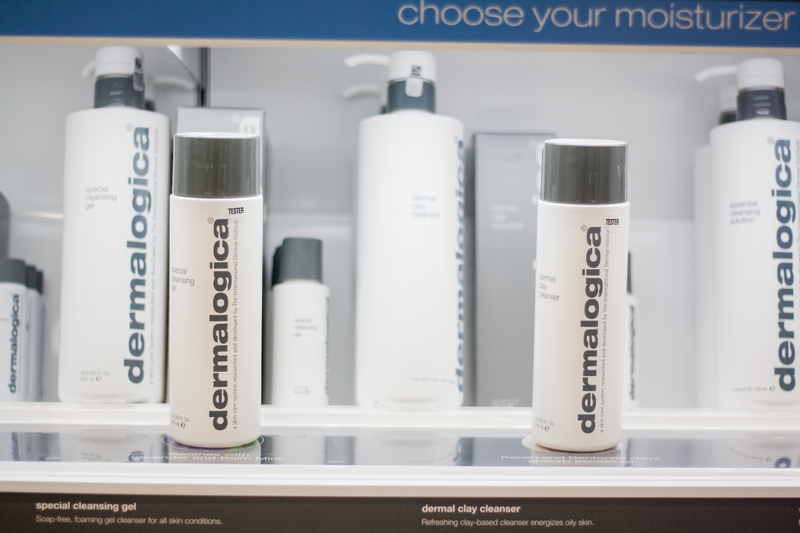 The best part is that you can purchase all of the Dermalogica products you’ll need post facial right there in Salon Karizma! We started the facial with a questionnaire about my skin history, current concerns, what skin type I have, if I’m on any type of medication, etc. The questionnaire is meant to let the esthetician know what she needs to focus on during my facial and if there’s anything she needs to know that may interfere with the products or techniques she uses. As Emily reviewed my answers to the questionnaire, I changed into a robe and began to relax. After the facial, I asked Emily to give me a step-by-step break down of the soothing magic she worked on my skin. I’ve used her notes to write everything below! Please note that this facial was tailored to my skin and that yours will be different! We started with a Precleanse, which is great for getting deep into the skin and ridding it of environmental debris. With all of the smog and pollution in the air nowadays, this is an important step! After the first cleanse, Emily analyzed my skin under a light to check for anything she should be concerned about. She even placed cotton pads over my eyes to shield them from the bright light in the dim room. I was very nervous as she inspected my skin (who wouldn’t be? ), but she assured me everything looked normal and healthy. She then used a Dermal Clay Cleanser specifically for my oily skin type. One of my favorite parts of the facial was the Multivitamin Clearing Masque – a heat-activated skin polisher. The heat-activation felt amazing! We moved on to the Sebrum Clearing Masque that works to control the oil in my skin and helps clear breakouts. Emily targeted my T-zone and my hairline where I get most of my breakouts. Multivitamin Power Recovery Masque that works to replenish stressed skin and combats fine lines with vitamins. Again, Emily only applied this to targeted areas of my face that are susceptible to fine lines: under my eyes, my temples, and around my jaw and smile. Multi-Active Toner that brings skin back to its natural pH levels. Antioxidant Hydramist that works as a hydrating barrier from the elements. Emily noted that she thinks it smells amazing, and it really does! She then applied Active Moist, an oil-free moisturizer for my oily skin. She applied this to my T-zone. Dynamic Skin Recovery firming agent with SPF 50. She again only applied this to my under eyes, temples, and around my jaw and smile. Intensive Eye Repair helps keep the under eyes moisturized and hydrated while also filling in fine lines. Emily used 7 hot towels throughout the facial that open my pores. Honestly, this was one of my favorite parts! Each towel felt amazing in between massage and product application. Emily also did a 10 minute facial massage portion and we ended the heavenly facial with a décolletage massage. I’ve reviewed quite a few skincare products here on my blog and social channels that all promise to provide the best in-home, self-care, spa-like experience. But there’s nothing that can compare to having someone else take the reins. Emily took me on a skin journey that not only felt heavenly, but also helped recover my healthy, youthful glow. It was truly a relaxing, revitalizing experience that you need to treat yourself to! 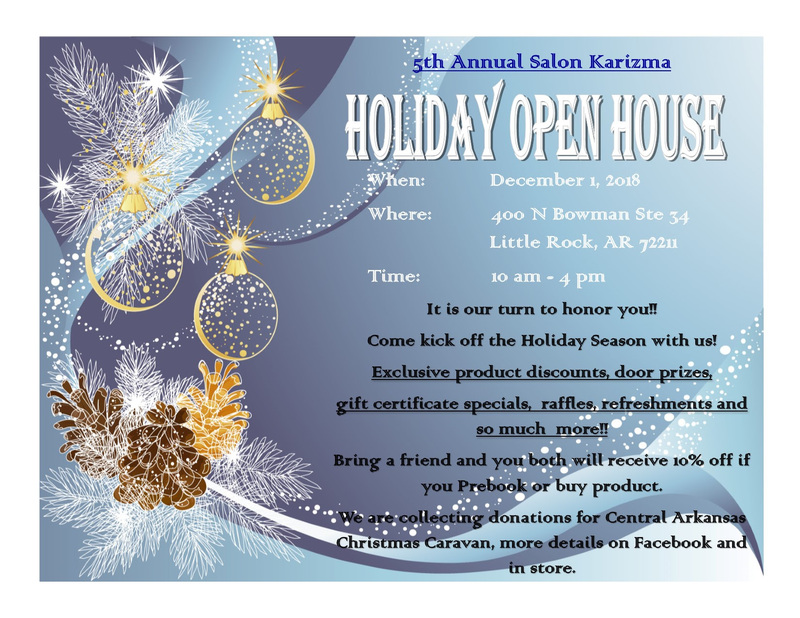 I’ll wrap up this review by inviting you to Salon Karizma’s Holiday Open House! Join the salon on Saturday, December 1 from 10:00 am – 4:00 pm to kick off the holiday season with exclusive product discounts, door prizes, gift certificate specials, raffles, refreshments, and more! 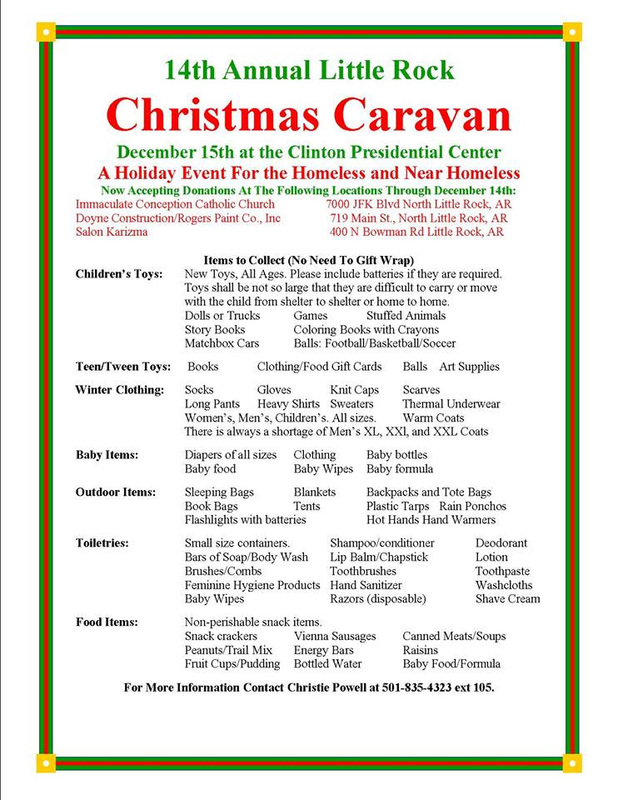 Salon Karizma is also collecting donations for the 14th annual Central Arkansas Christmas Caravan. See the list below to find out what donations are needed and drop them off at Salon Karizma! Thank you so much for your support! 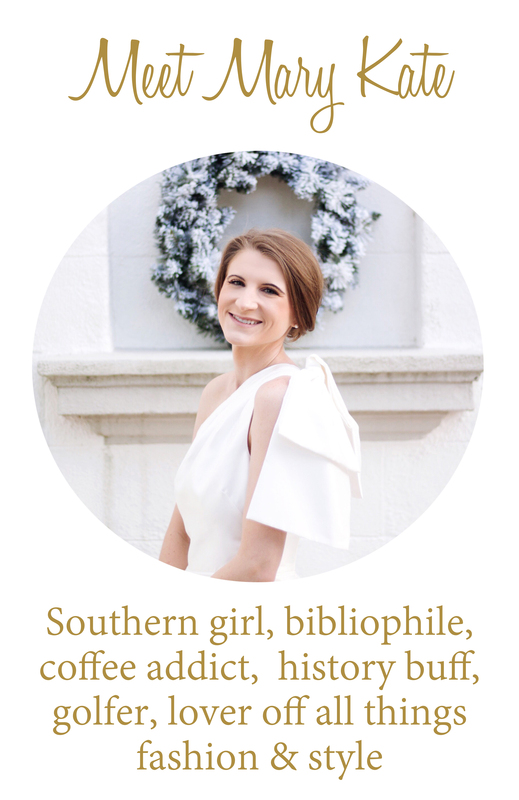 This post was made in partnership with Salon Karizma, but all opinions are my own! Facials are the best! So calming! Especially a personalized one!